I can’t even begin to explain how excited I am that I can now say we are past the 20-week mark! We’re technically on Week 22, and although I’ve been enjoying this pregnancy to the best of my abilities, trying to soak in every moment I have with Evelyn before her little sibling is born, I’ve also been incredibly anxious to get through the 20-week ultrasound. 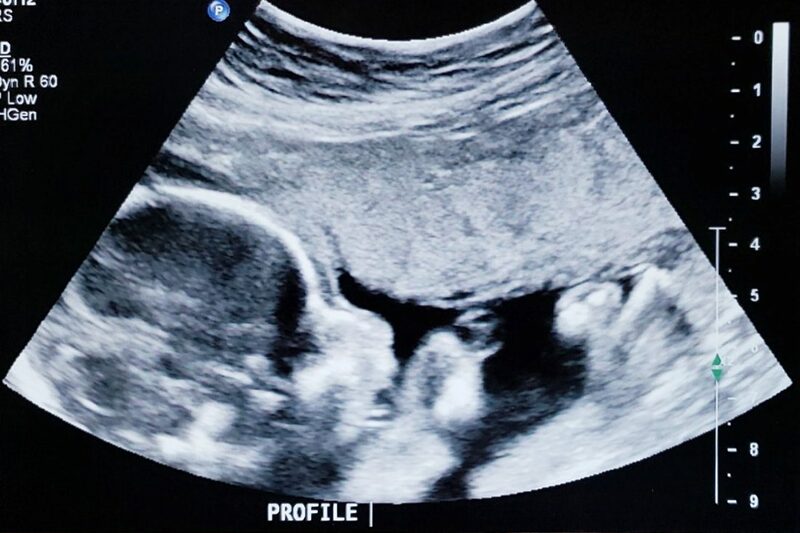 I wasn’t particularly worried about what they might find on the ultrasound, since Joe and I have always been of the mindset that we’ll raise whatever child God gives us, but I was worried that I would change my mind about finding out if the baby is a boy or a girl. 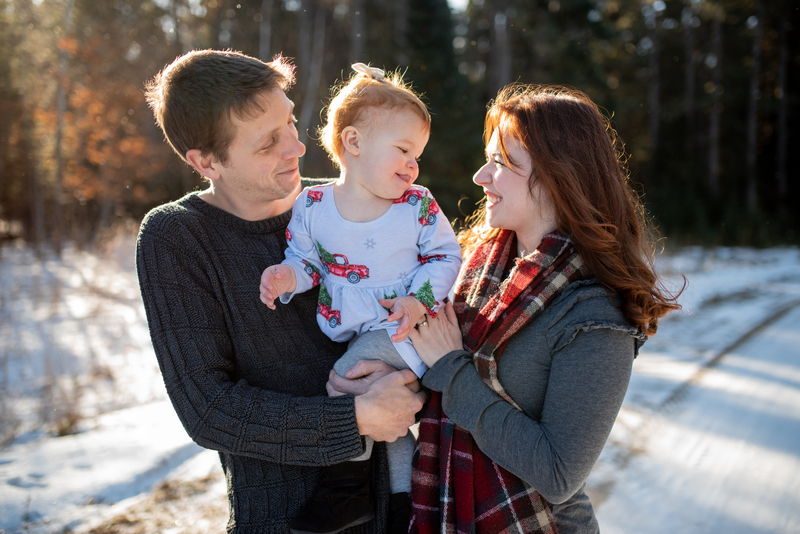 When I was pregnant with Evelyn, we decided not to find out beforehand, and it was such an amazing experience that we decided not to find out with this baby, either. But, it is so tempting to find out at that ultrasound, when you know all it would take is a “Yes” when the ultrasound tech asks if you want to know. 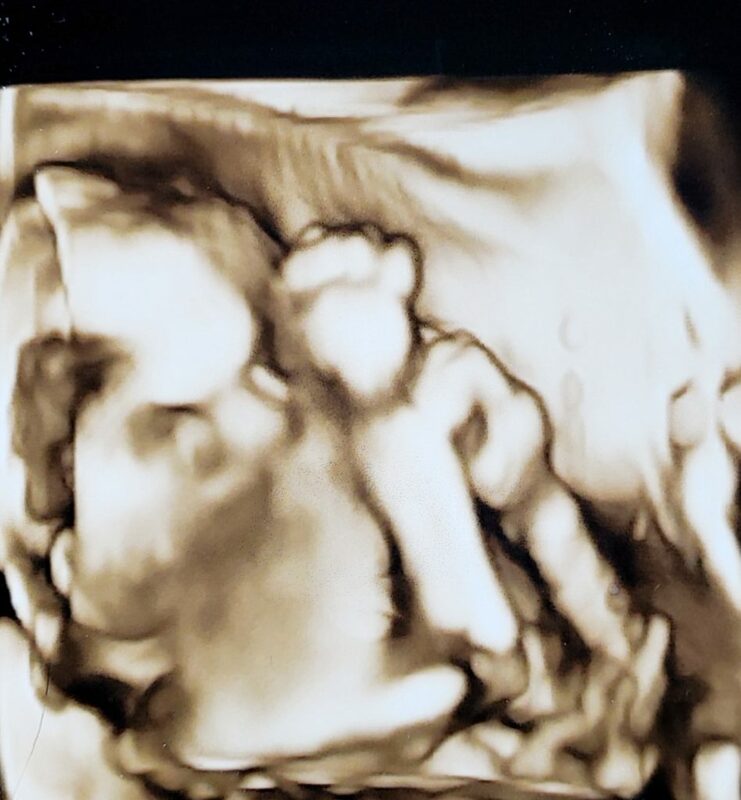 So, from the second that I scheduled that ultrasound until I was wiping the jelly off my stomach, I kept telling myself, “You don’t want to know, you don’t want to know, you don’t want to know!” And really, how important is knowing anyway? You get what you get, right? The ultrasound tech did tell us that everything looked good with the baby, and that he or she was measuring pretty much on average. I haven’t heard anything to the contrary from my midwife, so, I’m assuming everything is fine for now, but we’ll probably go over the results in more detail at my next appointment, which will be in a couple weeks – the dreaded glucose test. I am not looking forward to that test at all, and about the only thing keeping me calm is that I know what to expect this time, and I know it’s just one of those things that you have to get through with pregnancy. I think my biggest issue with the glucose test is just that I hate getting my blood drawn. Just thinking about a needle piercing my skin into my veins makes me feel sick, and if I happen to see the vials of blood – there’s a possibility that will become a reality! I know this one is a little creepy, but how cool is the 4-D??? Knowing that I felt this way about the blood draw during my first pregnancy, I did have the smart idea to try and prepare myself for the drink they make you have before the blood draw by drinking a fair amount of Tang in the weeks leading up to it. If you’re reading this as a first time expectant mom, looking for tips on how to get through the glucose test, please DO NOT DO THIS. My glucose test came back fine, but I am now convinced that it would take a whole container of Tang somehow diluted into a cup or two of water to even come close to how disgustingly sugary that stuff is. So, instead of trying to prepare myself for it, I’m just going to take this as another one of those unfortunate realities of parenting, like dealing with someone else’s various bodily fluids, whether it be pee, poop, vomit, etc. on a daily basis. At least in my mind, getting the opportunity to see another human being blossom into their own personality and introducing them to the world in which they live is so worth it! I didn’t know it at the time, but this is a picture of all FOUR of us! It’s amazing to me how fast it feels like this pregnancy is going! I think it’s probably due to the fact that Evelyn takes up most of my time and energy during the day – as she should – but I absolutely cannot wrap my head around the fact that there are just 18 weeks left until we get to meet this little boy or girl! Parenting is tough work, and adding a new baby will be a big adjustment, but I’m so excited to see how our family dynamic will change in the coming months!